Somerset Apartments in Holstein, Iowa has immediate availability for residents 55 years and older. This recently renovated apartment community features new appliances and wall-to-wall carpet in each of its units, elevator access, a community room, and a new laundry facility. With lawn care and maintenance provided, residents of Somerset Apartments enjoy a relatively carefree lifestyle that allows them to take advantage of all that Holstein has to offer. Holstein is one of the largest towns in Ida County, which was recently voted as one of the Top 3 Places in Rural America to Raise a Family by Progressive Farmer Magazine. Citing its low crime rates, economic factors and access to healthcare, Progressive Farmer praised Ida County for its efforts in increasing community vitality. The city of Holstein has a metro population of about 1,400 people, which may not seem like much when you consider the wide variety of manufacturing, commerce, and retail stores available. Residents enjoy the city parks, community center, and the Holstein Country Club, a nine-hole golf course nestled on the outskirts of town. 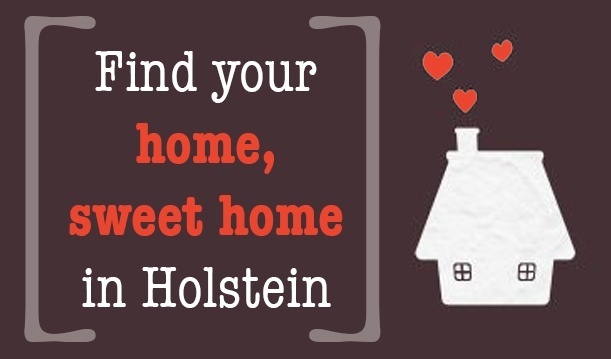 And perhaps just as important as what is in Holstein is the fact that neighboring towns are easy to get to, and this means its residents are never far from friends and family, whether they are the ones traveling or being visited. At Somerset, we are committed to providing quality and affordable housing to our residents. Eligible residents pay 30% of their adjusted gross annual income towards rent, and are responsible for a security deposit. There is no application fee. If you are interested in becoming Somerset Apartments’ newest resident, we welcome you to call our leasing office. Our experienced staff can answer your questions, schedule a tour, and help you with the application process. We at Oakleaf Property Management are proud to provide residents of Iowa, Nebraska, and South Dakota with unparalleled service and great housing choices. We look forward to serving you.